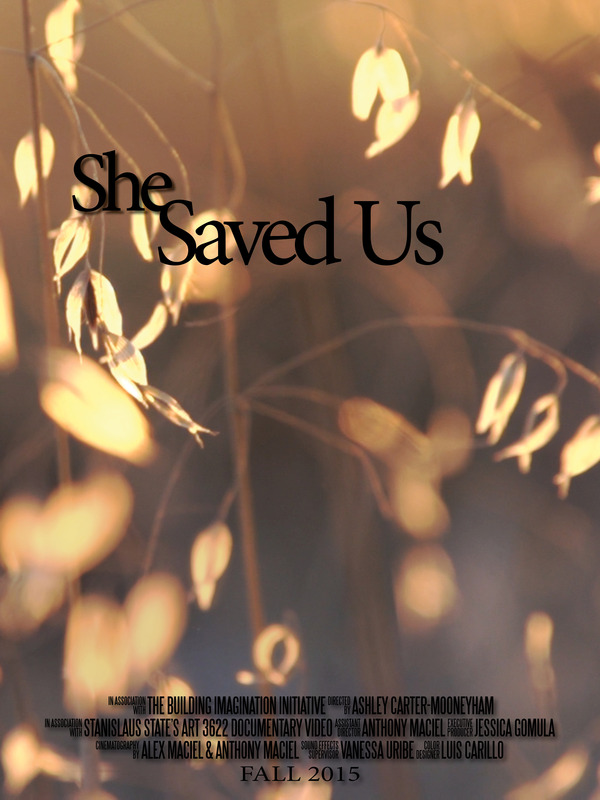 Produced as a partnership between the Center for Human Services (CHS) and the students of ART 3622 Documentary Video at CSU Stanislaus. 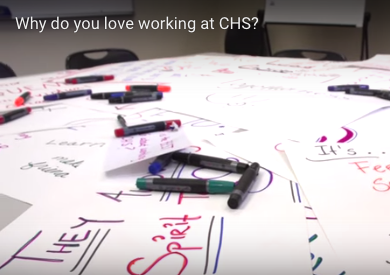 Why do you love working at CHS? 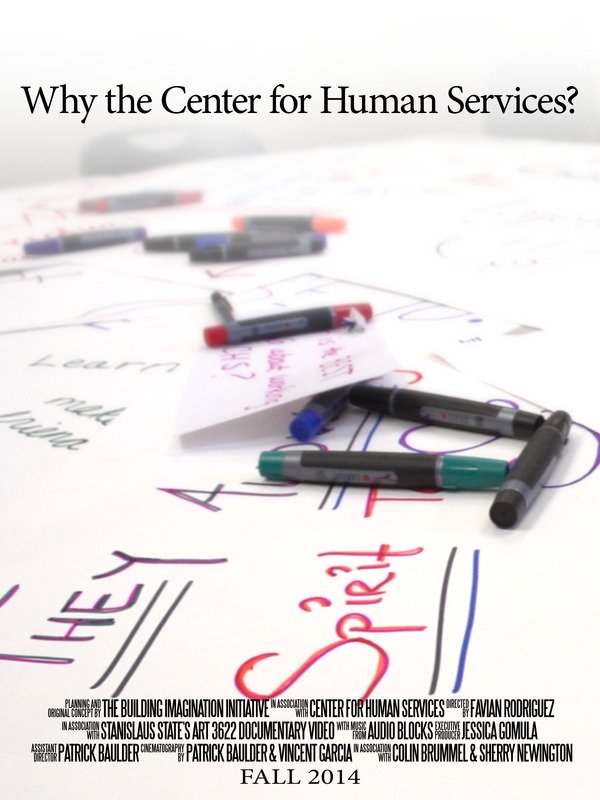 We asked our staff what they loved most about working at Center for Human Services, and here are the results. 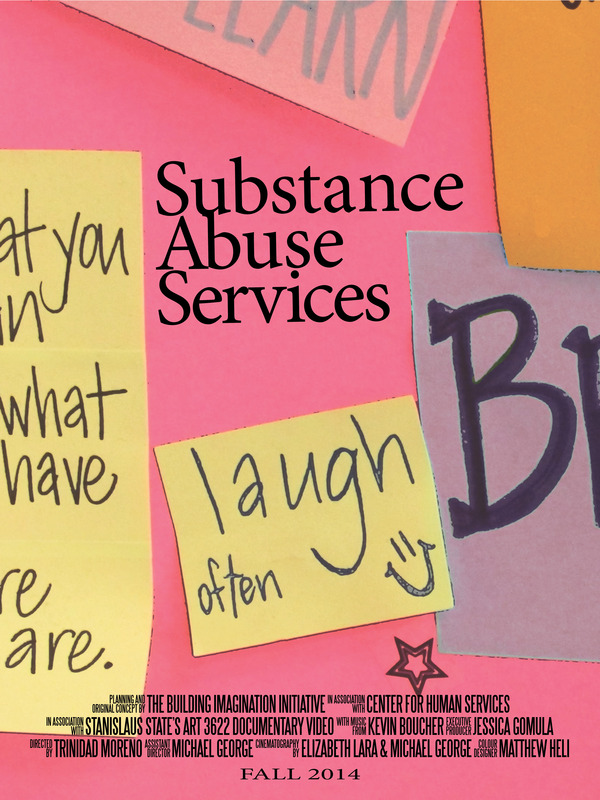 Here are some personal stories from substance abuse counselors working at CHS. Positive change is possible through treatment. 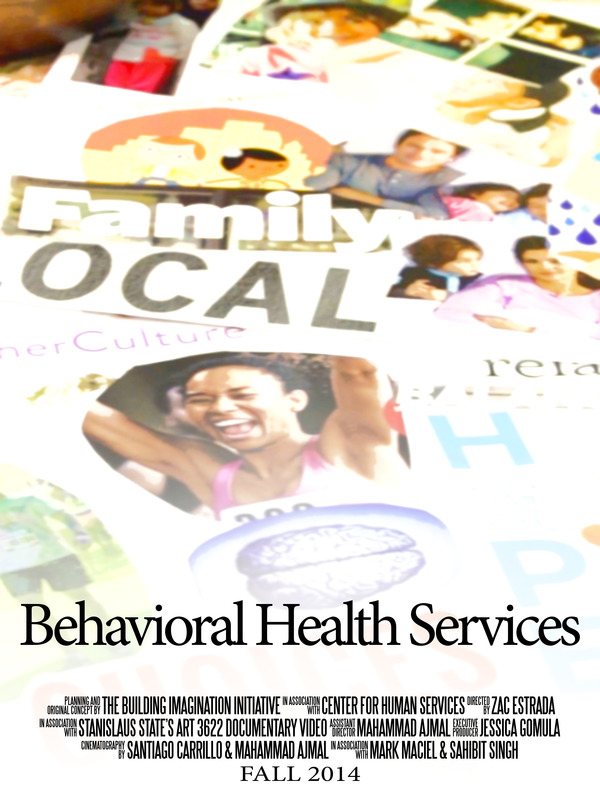 Learn more about the mental health counseling services offered by CHS in Stanislaus County. 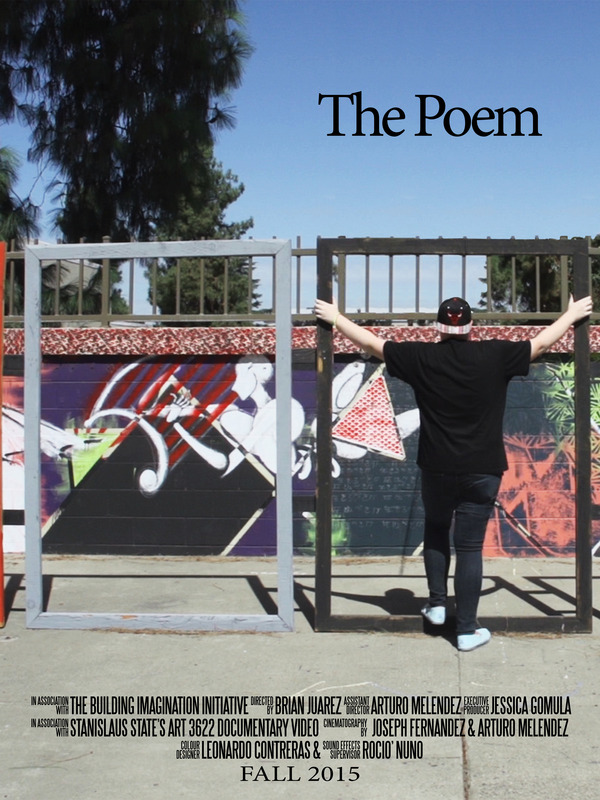 Through its Resident Filmmaker Program, the Center brings regional documentary video artists to Modesto to actively engage the community with hands-on video creation, and to provide real world experience for California State University Stanislaus film students. It is the Center’s mission to create an environment where artists can work, thrive, and feel supported by the community, and then to catalyze this growth and leverage it to benefit the local community by creating a vibrant activation of the downtown art scene. Recently, creative placemakers from across the country gathered in Miami for a first-ever Creative Placemaking Summit. This event was hosted by ArtPlace, which is the first major public-private partnership to encourage creative placemaking across America. ArtPlace spoke with Jessica Gomula-Kruzic, Director for the Building Imagination Center, about the recent Creative Placemaking Summit in Miami, FL. ARTPLACE: What ideas did you gain, or lessons did you learn, that you plan to apply to your initiative? GOMULA-KRUZIC: The Creative Placemaking Summit in Miami was a very engaging event to attend. It was very exciting to hear firsthand all of the projects and initiatives people have been working on all over the country. The speakers themselves were also very engaging. Mostly, the small focus groups were extremely helpful in bringing together projects that had similar goals. One of the most provocative ideas I came across at the Summit was the Gallup-Knight Foundation’s Soul Poll. This study of 43,000 people in 26 cities over three years found that three community qualities – social offerings, openness and beauty – have consistently emerged as the leading drivers for community attachment – even over such factors as perceptions of local economy, leadership and safety. According to Jon Clifton, deputy director of the Gallup World Poll, who conducted the survey, the results of this survey show a significant, positive link between cultural offerings, resident attachment and local GDP growth. This last factor is particularly relevant to our goals at the Building Imagination Center and our contribution to the community. 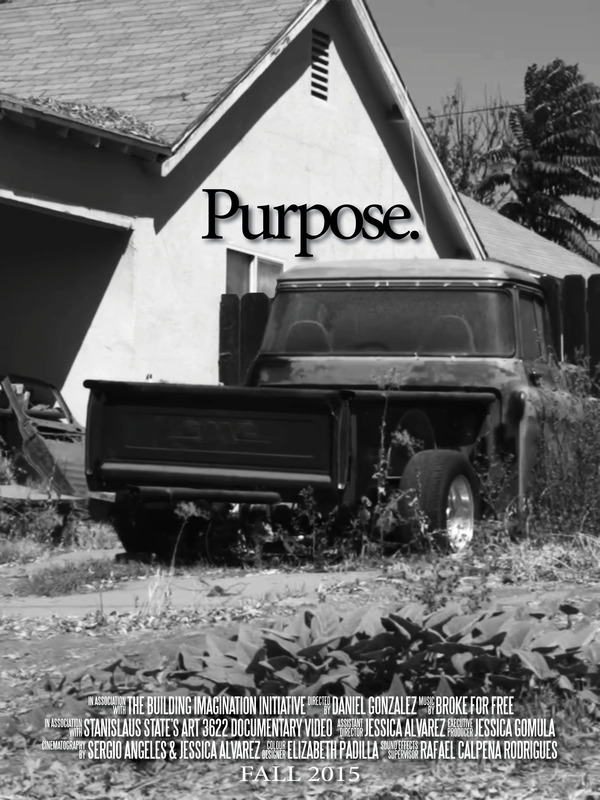 By creating new and original documentary films of and with the local community, we are, in essence, documenting the social offerings that Modesto has, and bringing awareness of these offerings to the larger community through film screenings. To know that these activities are directly linked to helping Modesto’s local economy by building Modesto’s residents’ sense of attachment to the community, reinvigorates our work and reaffirms our commitment to the community. 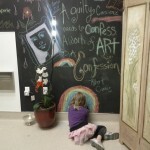 Likewise, our partner, the Modesto Art Museum, has also been building resident attachments to the community through the art events that it sponsors throughout Modesto. 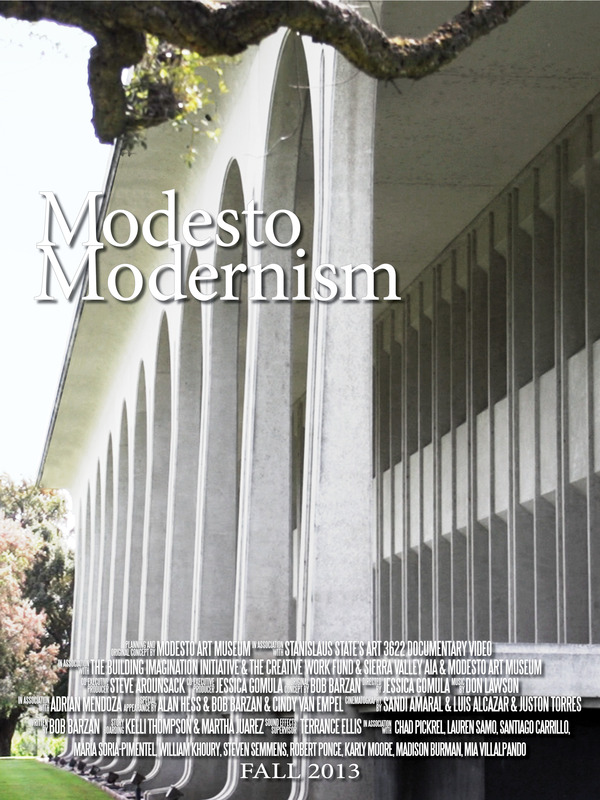 In particular, the Modesto International Architecture Festival, now in its sixth year, has exploded in size from its original movie presentations, to now include guided architectural tours, architectural cafes, short and feature length movie presentations, art exhibits, poetry readings, and featured speakers. One of the key lessons I took away from the Summit was that creative placemaking takes time. This approach has emerged over the past twenty years as a promising way to increase the vitality of communities and to help them grow. In many of the towns identified in America’s Top 12 Artplaces, creative placemaking has been active for over a decade. They have succeeded by being engaged not only in short term projects, but by committing to long term changes in the community as well. They found ways to tie together the arts and local, state, and national agencies to rebuild their downtowns, pass new legislation, and revitalize their communities. ARTPLACE: Where does this movement go next? GOMULA-KRUZIC: In many of the successful creative placemaking initiatives, a long term vision had been embraced by local artists, local art organizations, and local political branches. In the same manner, I think that the placemaking movement needs to embrace multi-year projects. For example, in Hartford Connecticut, the National Arts Endowment joined forces with the Department of Transportation, and over a dozen other agencies and organizations, to connect their cultural institutions and make Hartford more walkable by better linking Union Station to Main Street, improving public transit routing through Downtown, and stitching Bushnell Park to the cityscape. Another example, in Chicago, the MacArthur Foundation and the Pearson Foundation worked with the Chicago Public Library Foundation to create YOUmedia, an innovative, 21st century teen learning space housed at the Chicago Public Library’s downtown center. YOUmedia was created to connect young adults, books, media, mentors, and institutions throughout the city of Chicago, in one dynamic space designed to inspire collaboration and creativity. These are both excellent examples of the types of collaboration that can happen when art organizations and government agencies work together. And this is exactly what the Building Imagination Center, working together with the City of Modesto Planning Committee, has been accomplishing through the transformation of 10th Street and downtown Modesto. 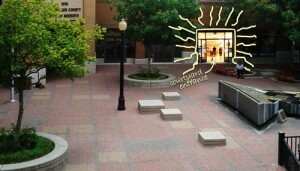 Last month we worked with the City to help create Parklets – tiny parks in unused parking areas. During our February Artwalk, we will have several outdoor video performances transforming the downtown plaza into a visual experience. 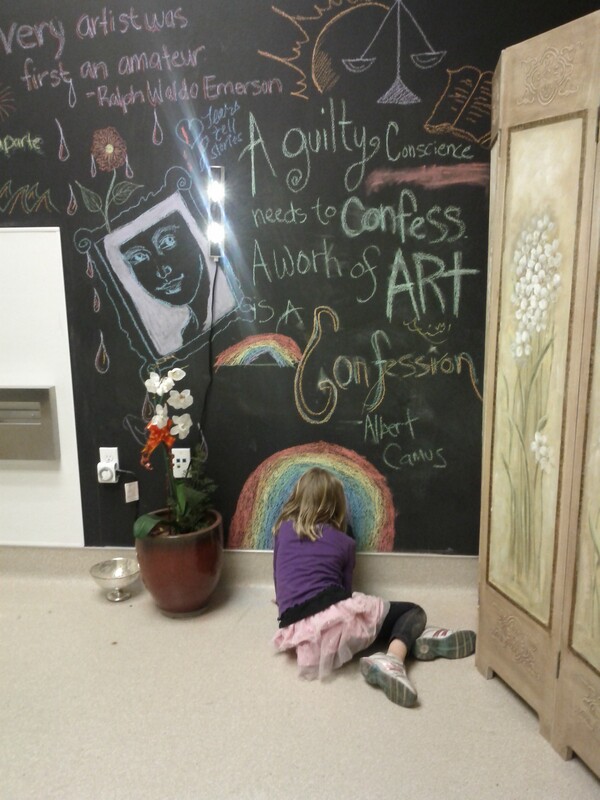 You will also see this during our April LOVE Modesto event, in which we are inviting the community to make an art chalk-walk, again transforming the downtown with local creativity. Creative placemaking is a community-based approach to the planning, design, management of spaces and implementation of practices that will make our community, Modesto, distinctive, economically viable, accessible, and visually pleasing. And the Building Imagination Center will be there to help. The Building Imagination Center is a new visual arts and media hub in downtown Modesto. Working with the Modesto Art Museum, the Center provides the community with a visual arts gallery for world class photography, sculpture, paintings, and contemporary art mediums, such as video, animations, and interactive content. Check out this excellent interactive map listing the public art in Modesto. Public Art in Modesto is a project of the Modesto Art Museum and Geography students at California State University Stanislaus. ArtPlace spoke with Jessica Gomula-Kruzic, Director for the Building Imagination Center, about the goals of the Center and the downtown art scene in Modesto, California. ARTPLACE: Have you gained any political traction with your efforts? If so, with whom and how did you do it? GOMULA-KRUZIC: The Building Imagination Center has been very well received in Modesto by local residents, other art and civic organizations, and officials in public office. One significant indication of this acceptance is our recent invitation to be a part of the Modesto Downtown Hospitality and Promotions group. 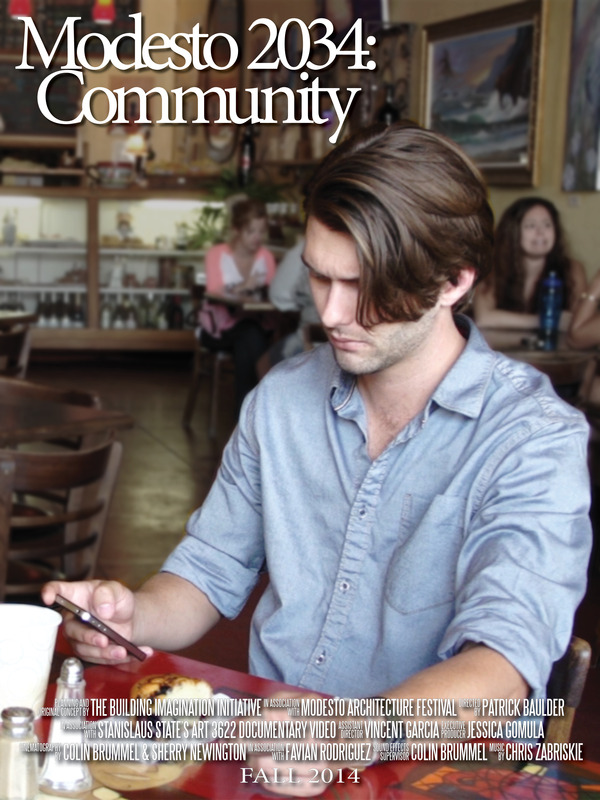 Recently, the City initiated an effort in conjunction with the Downtown Improvement District, Chamber of Commerce, and Convention and Visitor’s Bureau to improve the sociability of our downtown. 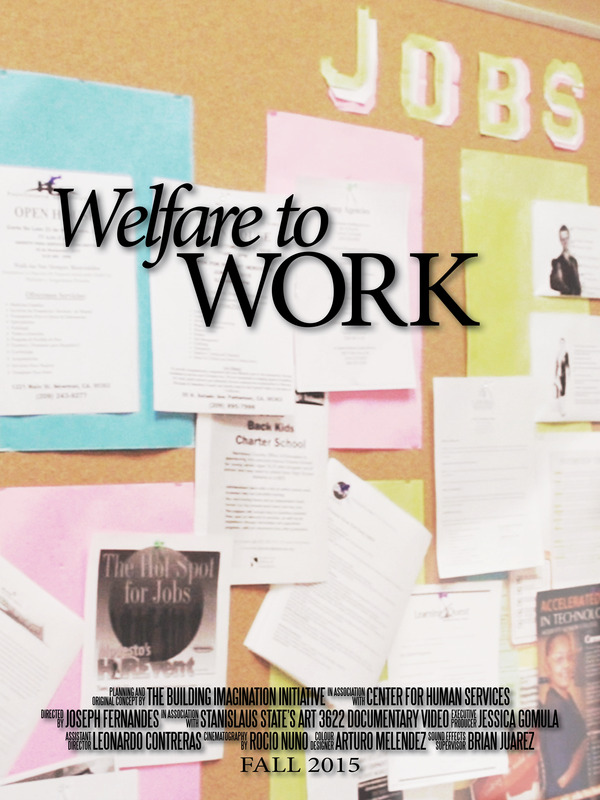 This program consists of three branches: Operations, Promotions, and Economic Development. Due to the Center’s interest in creative placemaking in our downtown, we were invited to be part of the Promotions Group. The Promotions Group focuses on promotions, marketing, special events, and public relations for the downtown area, focusing on making it look more inviting and appealing to the local citizens. While we have been contributing to the research about exactly what type of person or group is currently using the downtown area, and for what purposes, we have also played a key part in the first transformation project, which was featured in the local newspaper. Right outside of our windows, we can see the City taking its first steps towards re-imagining downtown Modesto by converting non-usable street corners into pedestrian friendly ‘parklets’. These are small urban parks created to provide a public place for citizens to relax and enjoy the atmosphere of the city around them. Through the redistribution of city owned tree and flower planters, the addition of some decoupage painting techniques, and cafe tables and chairs, the city has in one weekend transformed the urban experience of 10th and J street. And the Building Imagination Center was right there to help. The Building Imagination Center is a new visual arts and media hub in downtown Modesto. 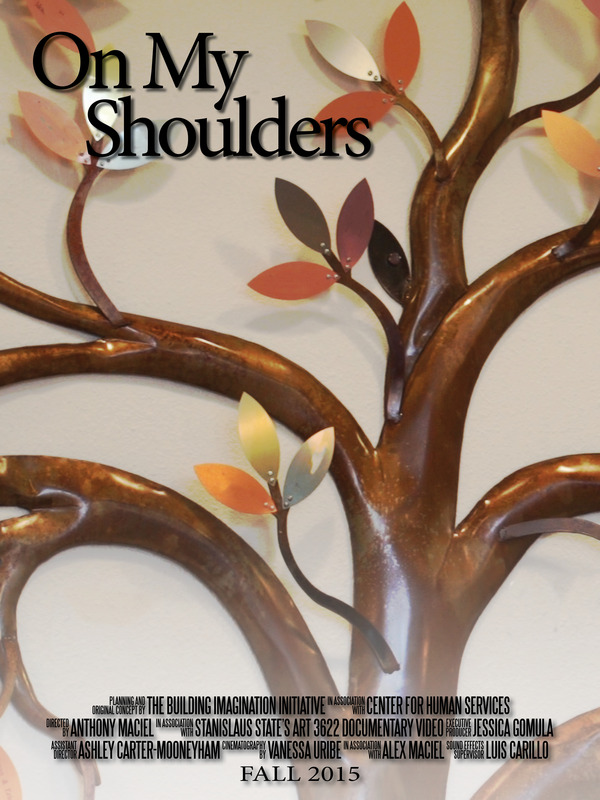 Working with the Modesto Art Museum, the Center provides the community with a visual arts gallery for world class photography, sculpture, paintings, and various other art mediums, such as video animations and interactive content. ARTPLACE: What do you have to do really (really) well to achieve success with your initiative? 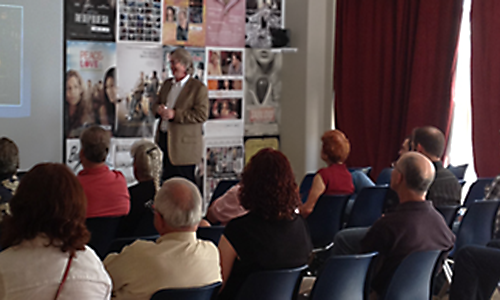 GOMULA-KRUZIC: My experience has been that change doesn’t happen until people can visualize it. Change will happen when people can imagine a better future for themselves and their community, and have a sense for how that future can come about. 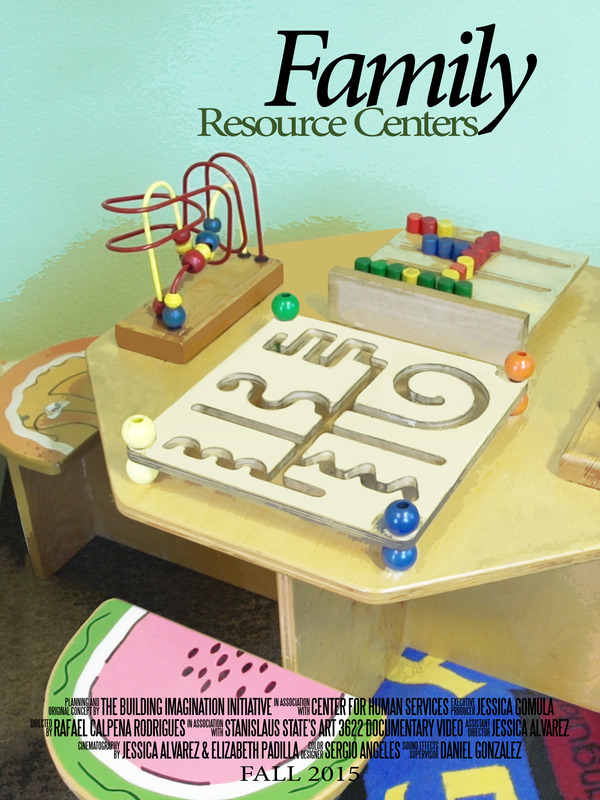 The whole purpose of the Building Imagination Center is to stimulate people to imagine a better Modesto and provide a path to get there. This is what we need to do really really well. Modesto is already known as the least livable city in the county and everyone here is well aware of the ranking and why it is so. For our gallery exhibit, we will help people see the physical place of Modesto in a different light by exploring some of the area’s architectural heritage. Local artists of all ages will exhibit photos, drawings, paintings, and watercolors of Modesto’s architecture. 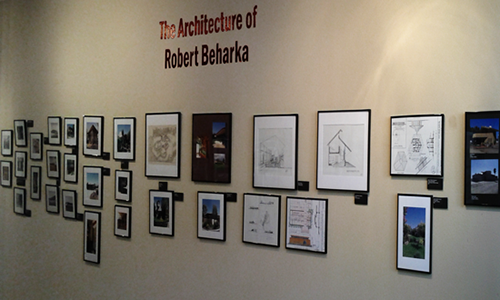 We will also have an exhibit of the architectural design of Frank Lloyd Wright associate and local resident Robert Beharka. This exhibit, and the Building Imagination Center itself, will serve as the hub of the fifth annual Modesto International Architecture Festival. ARTPLACE: How do you expect the community to change as a result? GOMULA-KRUZIC: It is not enough just to have an exhibit. We want to create concrete changes for the better. Together with the Modesto Art Museum and other community partners, we have asked people to submit paint schemes for a nearby dilapidated Art Deco Style gas station in downtown Modesto. One entry will be selected, and the building will be revived and painted accordingly. We want to show that imagining how a building could be better is actually the first step in making it happen. As part of our first show, we will exhibit all the designs that were submitted by Modesto residents and others along with photos of the transformed building. Additionally, we will be hosting a PARK(ing) Day event as part of the architecture festival. This is an annual worldwide event where artists, designers, landscape architects, and citizens transform metered parking spots into temporary public parks. MODESTO — The Building Imagination Center, a downtown Modesto venue to promote video and the visual arts, has its grand opening reception Sept. 20. Thursday’s reception is timed to fall during downtown Modesto’s Third Thursday Art Walk, when several galleries stay open late. Modesto Bee – DEBBIE NODA/dnoda@modbee.com Some of the gallery of images of architecture by Robert Beharka on display at the Building Imagination Center, Sept. 18, 2012. Jessica Gomula-Kruzic, the center’s director and an associate professor at CSU Stanislaus, said she hopes to serve the community by helping residents learn and improve video skills that could aid them in their careers. “Our goal is to attract talent to Modesto and keep talent in Modesto,” she said. 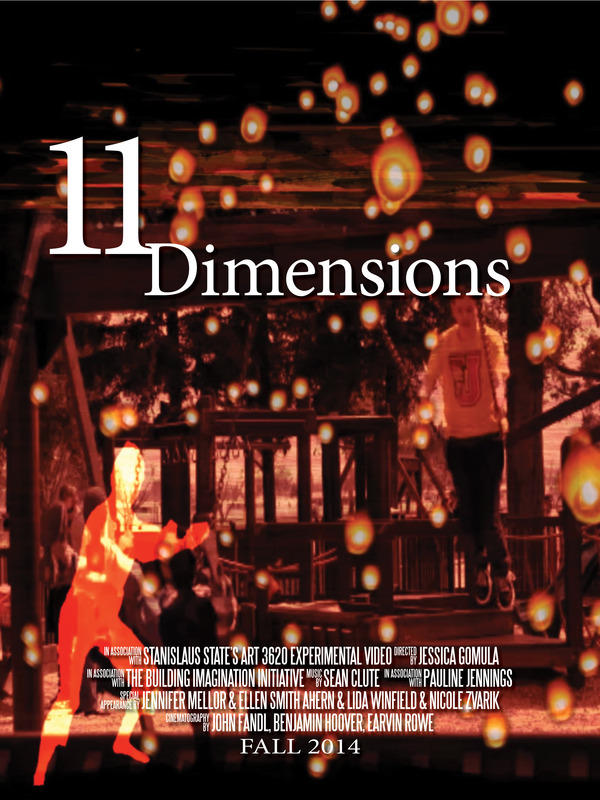 During the reception, the center will screen a new short video on homelessness by the center’s first filmmaker-in-residence, Christian Hali, and four students from CSU Stanislaus’ Video and Time-Based Media program. Vehicles on the streets of Modesto had some unusual company on Friday. 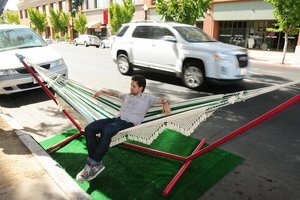 A few downtown parking spaces were temporarily transformed into mini-parks in honor of international PARK(ing) Day. All were on J Street. One in front of the State Theatre featured lawn chairs, plants, turf and a fence made out of architect blueprint tubes that also doubled as drums. The Serrano Social Club’s mini-park featured a hammock and a bike rack. The final park, in front of the new Building Imagination Center, sported log seats. Craane led a handful of history buffs on a 10-block architecture tour of downtown Modesto on Saturday morning. The tour kicked off the fifth Modesto International Architecture Fest, which runs through Sept. 23, and served as the opening of the Building Imagination Center, a venture of California State University, Stanislaus, and the Modesto Art Museum. Saturday’s tour focused on modernism in architecture, with the library a case in point.